If an Office application such as Word or Excel isn’t working correctly, sometimes restarting it will fix the problem. If that doesn’t work, you can try repairing it. When you’re done, you might need to restart your computer. The steps to access the repair tool vary depending on your operating system. Choose from the drop-down list below. Right-click the Start button (lower-left corner), and select Apps and Features on the pop-up menu. Select the Microsoft Office product you want to repair, and select Modify. Note: This will repair the entire Office suite even if it's just one application you want to repair such as Word or Excel. If you have a standalone app installed, then search for that application by name. Depending if your copy of Office is Click-to-run or MSI-based install, you'll see the following options to proceed with the repair. Follow the steps for your installation type. In Change your installation, select Repair and then click Continue. Follow the instructions on the screen to complete the repair. Right-click the Start button (lower-left corner), and select Control Panel from the pop-up menu. 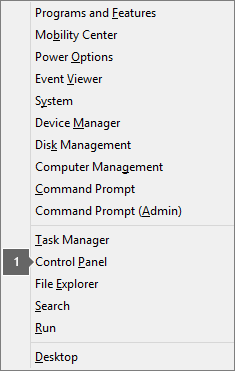 From Category view, under Programs, select Uninstall a program. Right-click the Microsoft Office product you want to repair, and from the drop-down, select Change. Note: If you have a suite such as Office 365 Home, or Office Home and Student 2013 or 2016, search for the suite name, even if it's just a particular application you want to repair such as Word or Excel. If you have a standalone application such as Word or Excel, search for the application name. Follow the remaining instructions on the screen to complete the repair. Click the Start button > Control Panel. Click the Office product you want to repair, and then click Change. Running Repair didn't help. Now what? 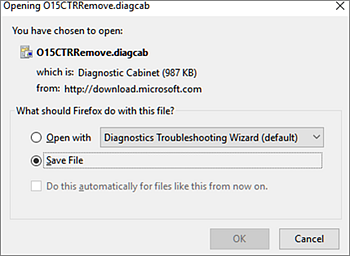 Use this easy fix tool to completely uninstall Office. Is my Office Click-to-Run or MSI-based? Open an Office application, such as Outlook or Word. Go to File > Account or Office Account. 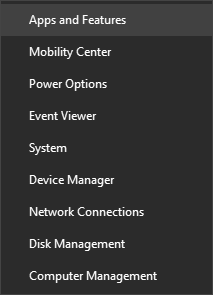 If you see an "Update Options" item, you have a Click-to-Run installation. If you don't see the "Update Options" item, you have an MSI-based install.